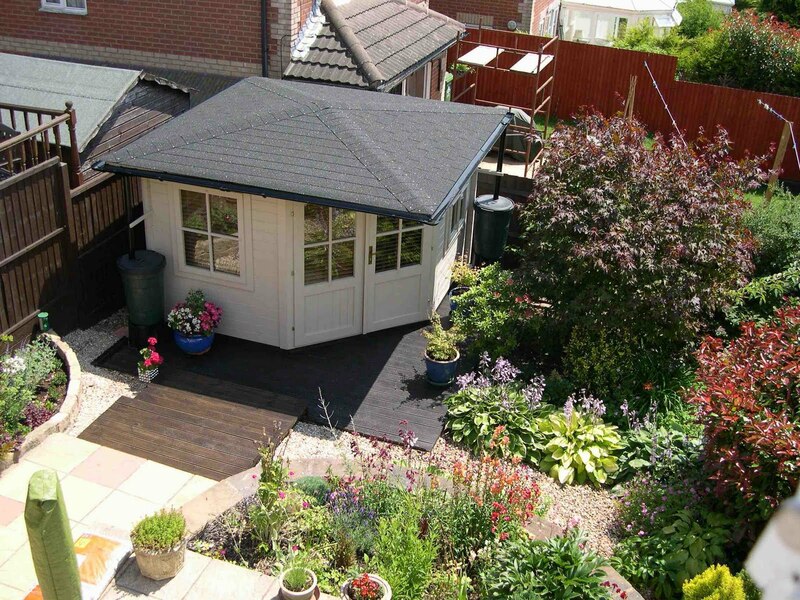 We exclusively revealed garden designer Jo Thompson's shedlike garden design for Chelsea 2012 on Shedworking last month for her ‘A Celebration of Caravanning’ sponsored by The Caravan Club and we're delighted to bring you more details. 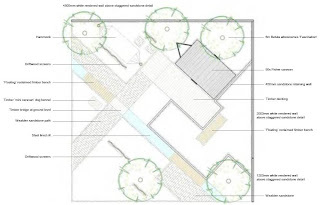 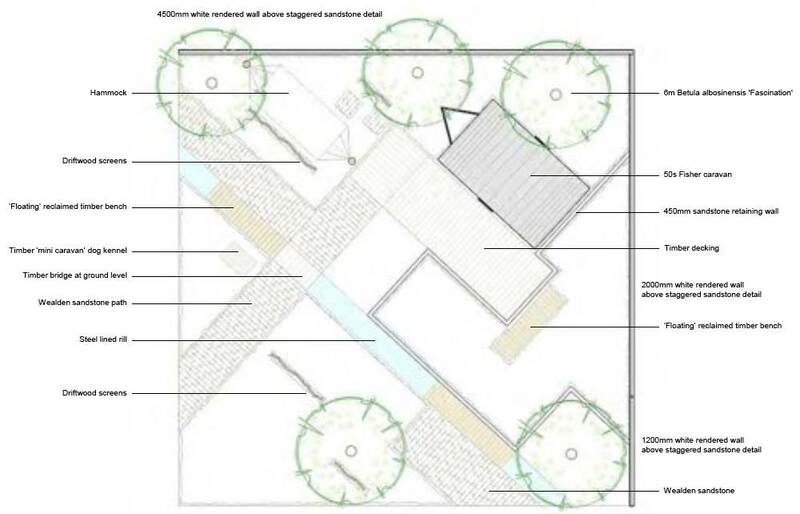 Jo's ‘Staycation’ garden will feature pink and cream planting, Wealden sandstone paths, timber walkways crossed by steel rills running with cooling water for feet and bottles. 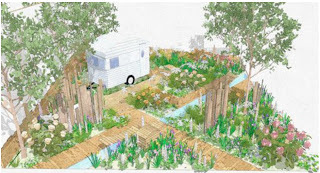 “The idea for the garden came about after seeing the fantastic collection of retro style trailers on the Isle of Wight whilst on holiday last year and seeing people relish in the nostalgia of such a holiday, then thinking about what sort of garden would sit well with these iconic caravans,” said Jo.